"We applaud General Motors for its foresight in approving the new diesel Chevy Cruze for use with B20 biodiesel blends," said Steve Howell, Technical Director for the National Biodiesel Board. "Many people do not realize that today's new technology diesel engines powered by ultra-low sulfur biodiesel blends provide tailpipe emissions as clean or cleaner than natural gas or gasoline, while providing superior fuel economy, horsepower and durability,” he added. 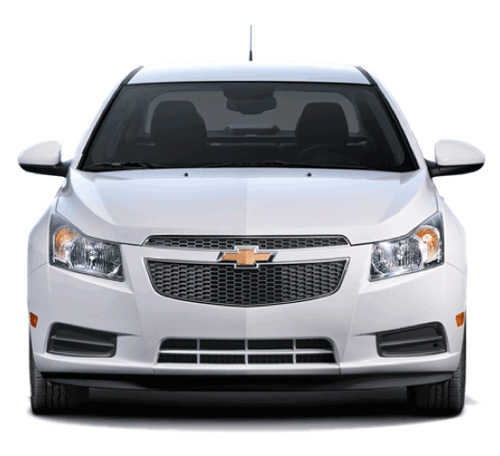 The new 2014 Chevy Cruze TD sports a 2.0-liter diesel engine with an estimated 42-mpg highway, with the automatic transmission, is expected by the brand to rank as best-in-segment based on internal testing. “In addition, when you combine the increased efficiency of diesel engines with the low carbon nature of an Advanced Biofuel like biodiesel, new technology diesel engines are positioned to become the clean — and green — technology of the future, and we're proud to see GM leading the way with its support for B20." Clean diesel is possible thanks to low sulfur fuel and by using advanced diesel exhaust filtering, resulting in a vehicle 90 percent cleaner than the diesel engines of 20 years ago. The Chevy Cruze has the lowest emissions for a diesel passenger car GM has ever produced and with the approval for renewable B20 biodiesel fuel utilization; it's also the greenest. Roughly 40 percent of all Cruze models sold in Europe feature the proven architecture of the 2.0L turbo-diesel. Working with engineering groups from both Germany and Italy, GM's diesel US engineers crafted the engine to conform to the more stringent emission standards and driving conditions of the US and Canada, including colder climates and higher altitudes. "This Cruze Clean Turbo Diesel represents a new era in diesel performance for American cars," said Jens Wartha, GM chief engineer. "We've adapted a proven engine from Europe, the world's passenger diesel capital, and married it with the emissions-reducing technology that was perfected in the United States. It's a great example of how Chevrolet's global resources work harmoniously to produce the right product at the right time and for the right market." With a base price of $25,695, GM intends to put the 2014 Chevrolet Cruze 2.0 TD up for sale in the same markets where the B20-burning Chevrolet Silverado diesels have performed well, an area spanning the West Coast, and regions like the Baltimore area, D.C, and other parts of the East Coast. The 2014 Chevy Cruze goes into production this summer. Other B20 biofuel vehicles are coming to a showroom near you from GM’s US competition, namely Ford and Chrysler. These include the best-selling Ford F-Series Super Duty trucks, and a new diesel Ford Transit full size van also capable of burning the corn-based ethanol and diesel petrol blend. Chrysler's new 2013 Ram Heavy Duty diesel pickups are all approved for B20 fueling, producing more horsepower with improved fuel economy from their 6.7-liter Cummins High-Output Turbo Diesel engine. In total, over 33 light and medium-duty diesel cars and trucks, along with heavy-duty models, are forthcoming from some 20 different brands, and are expected to hit the market this year. This gives U.S. drivers yet another option in the effort to drive greener, more fuel-efficient vehicles that can utilize renewable biodiesel rather than pure diesel fuel. Roughly 80 percent of all manufacturered diesels in the U.S. are approved for the use of B20 biodiesel blends. The rest, mostly European light-duty diesels, are only certified to use 5 percent biodiesel, or B5, but the National Biodiesel Board is striving to encourage the support for B20 acceptability in all diesel vehicles sold in the US. The National Biodiesel Board informed dealers how biodiesel is used in vehicles during two workshop sessions as part of the 2013 American Truck Dealers convention curriculum in Orlando over the weekend. It’s been a long time coming but America might be coming around to diesel, and biodiesel is just a kissing cousin to the high-torque fuel.